Hey guys, out of curiosity, why is it everywhere I look I see nothing but shaming towards On-One bikes? It seems to be a small, lesser known company, but I have yet to find a negative review or discussion about their bikes with 'actual' reasoning as to why they down this company's products. For the price and components that come with these in house built bikes I can't find a reason not to look towards their products. I currently own the On-One Parkwood 27.5, and everything about the bike has literally been amazing since day 1. 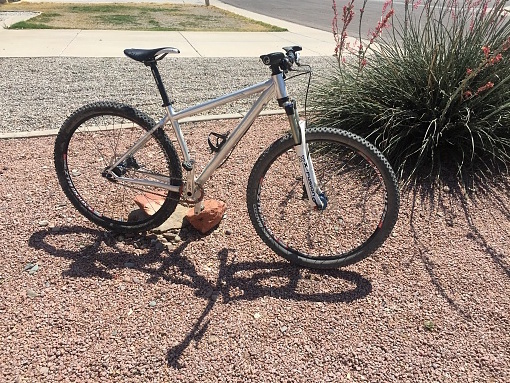 The only complaint I could come with is the paint fading quickly on the top tube, but then I am riding in the so cal desert so that is somewhat expected. In the end, I am 100% happy with my bike, so I guess other opinions don't matter, but curiosity gets to me. Can anyone shed some light/experience on this matter? and distributed in the UK. I knew a guy who bought a On One hard tail back in 2004. I guess they are good bikes, don't know why someone would disrespect the bikes, who gives a sh*t if they are made in taiwan, most of them are anyway, if not friggin' China. I have a PArkwood 29 as my winter/mud/HT bike, it's perfectly good. They've had issues in past with frames, alignment of hangers, alignment of brake mounts and some paint issues.... but tehy make great bikes at what most MTBers would call budget pricing.... Can't fault mine. Other than the easily damaged paint (which I can't complain about considering the price), my 456 Evo II frame has been great. It built up into a very fun bike. Only thing I'd change about the frame is adding a bigger head tube (which they did for the 650b version) to allow tapered steerer forks. I've owned a 456 and a DeeDar. I'd put them somewhere smack dab in between a bikes direct outfit and a major brand. They lag behind the big players in most design and 'standards' trends. For instance, they have just started phasing out qr dropouts, in favor of thru axle on newer models. A couple years late. The DeeDar is a 12x142 bike, which is fine, but a lot of buyers are already expecting plus compatibility, whether for their own uses, or for resale value reasons. The DeeDar was arguably obsolete, for a lot of buyers, from the day it was released. Still a great riding bike. They are a bit late to update to long front center as well. Paint is weak. I had to file my hanger on the 456, which had an integrated and non replaceable hanger. The value for spec level is ridiculous, so minor faults can be overlooked. I'm no brand whore, and I like value, so I buy them. But I still consider them a bare bones, lower second tier company. Purchased an One-One Lurcher carbon frame back on 2012 for $480 delivered. I change bikes a lot but the Lurcher is a keeper. Face only a mother could love but it kicks a$$ set up as a SS. Replaceable horizontal and vertical dropouts make the bike very versatile. I have a brand new $6K bike in my garage but the Lurcher still gets equal riding time. Where are you getting the shaming from? Like from real people you meet face-to-face? Man, ain't nobody got time fo' dat. I'd shrug and tell them "no one is making them ride one"
If you're just looking at the 'net....screw em. I bet most of it is just brand-snobbery. Probably haven't even ridden one. I bought a Scandal as a project bike a while back. It's since become my only bike and I'm really happy with it. Most people I meet have no idea what brand it is, and when I tell them, they usually shrug and say either "never heard of it", or or "Oh, I've heard of them, never seen one. Do you like it?" It might help that I have the "SuperRaw" color that is clear-coated aluminum with ectched logos. You have to look pretty close to see the On-One on the downtube. I like mine. It's not the stiffest frame, but that's not a bad thing. I'm running it SS, and I can occasionally get the chain to 'pop' on the chainring because the stays flex under load, but I've never lost the chain, and it does provide a decent ride for an alloy bike. Perhaps my only real complaint about it is that even though I can swap dropouts from SS track sliders to reg QR vertical dropouts, it's limited to 135mm rear hub spacing. This bike would benefit from being adaptable to a 142 TA rear. Edit: Also, It wasn't a problem in 2012 when the Scandal was new, but in light of new trends, this frame only clears a 2.4 rear tire; with 30mm carbon rims, a 2.35 is a close fit. Just bought a parkwood 29er frame but it won't get here till Weds. For the price I don't see how I can be disappointed. Cracked my 29er 120mm full squish frame and didn't want the parts to go to waste. I have the 650b, and so far it has been an awesome bike, I don't doubt you'll love it. I am glad there are people out there that actually know this company and have positive experience with them, it puts my mind at ease! I have yet to see another On-One out on the trails, and the reviews or discussions I found when originally looking into this company were very polarized and usually quite negative, which is why I was somewhat skeptical in purchasing from them. But I saw obvious value in the components bundled with these bikes and I shot for it anyways; I am glad I did. The bike has been a dream and I have yet to have any issues beside the lackluster paint durability. But, for the price, how can I really complain? The frame still seems top notch, with no unnecessary flex or QC issues. It is plenty laterally stiff under heavy pedaling and yanking of bars; the chainstays seem to flex just enough to keep the hard tail comfy as well. The only thing I have felt the need to change so far is removal of the front der; I replaced the two front rings (this is the early 2016 2x model Parkwood 27.5) with a single one-up oval 32 ring. It isn't the tallest gearing (11-36 cassette) and suffers on steep grinds, but I may leave the groupset as is and dedicate the setup to xc, as I am already looking into all mountain options! The past 4 months or so on this bike have got me hooked! I am already looking into full sus all mountain bikes and scouring MTB Project for nearby trails. 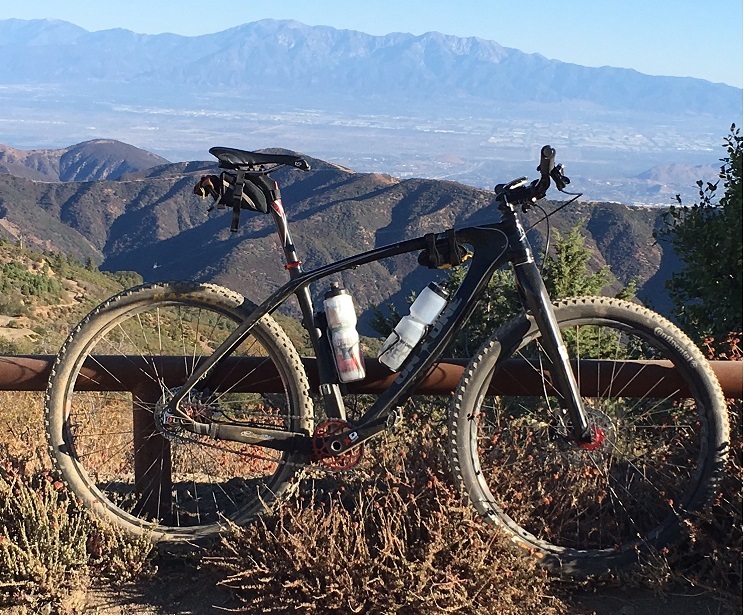 Also, fwiw, I am 5'10 with average limb proportion; my Parkwood is a size medium, which is slightly reach cramped, but I can't say I feel very confident on longer bikes; the Codeine has a slightly longer reach on the medium size, do you guys think I should stick with a medium for all mountain riding or go one up on size? I appreciate your input so far guys, I do lots of homework but there is so much to learn here! Poacher Shaming - Is there a rule against this?